I’m In SHAPE…Magazine That Is!!! 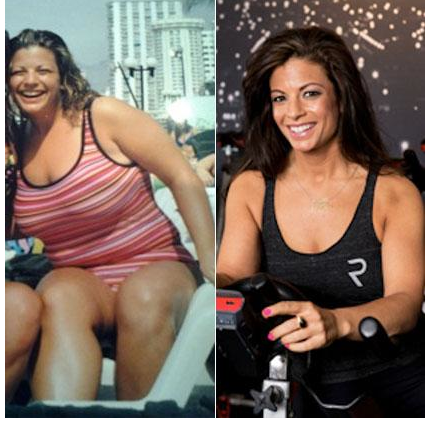 I wanted to share this piece that just came out today in SHAPE MAGAZINE, 16 Fitness Experts Who Used to Be FAT! Yup, I’m #3! If you didn’t know me “BEFORE” you can see where I was. students, my clients, with YOU! I LOVE where my life has taken me and see that time as a blessing. I wouldn’t have the insight I have now if I had not experienced living in an unhealthy body and making the choices I made. If you want to see a more in depth version of this story (& MORE PHOTOS) you can check HERE. Where you are now is not where you will be forever. You can and will inevitably change. Life happens; we grow older, our jobs change, people come and go, but you are given one body. I want to invite you to LOVE your body starting NOW. This is your gift to yourself and the thing you CAN CHANGE. Today it starts with you! Look in the mirror and tell yourself, “I’m Fierce!” more importantly…MEAN IT CUZ YOU ARE! Today let your love for you shine through. If you want to sweat with me you can check out my full schedule HERE. I’m at REVOLVE Cycling Studio in New York City a lot. I’m also starting my 5 Week TRAINING CAMP on Saturday, March 23rd. I would love to see you there to ignite YOUR fiercest self. Sending so much love! Have a wonderful week! This entry was posted in FIERCE HEALTH, FIERCE WORKOUTS, FIERCE- ISH by GETFIERCE TRAINING. Bookmark the permalink.